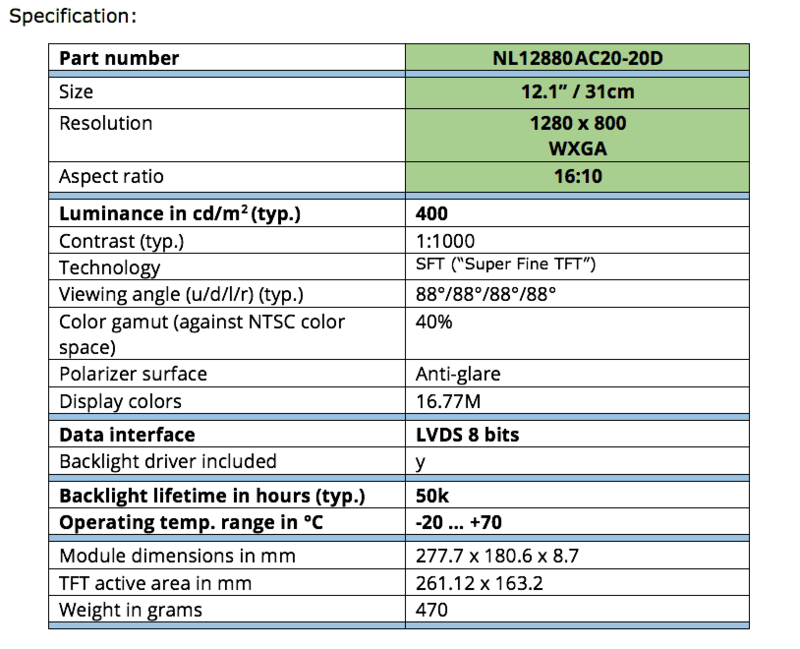 Tianma Europe GmbH introduces the new 12.1” wide format Active-Matrix LCD module (“TFT LCD”) with WXGA resolution. 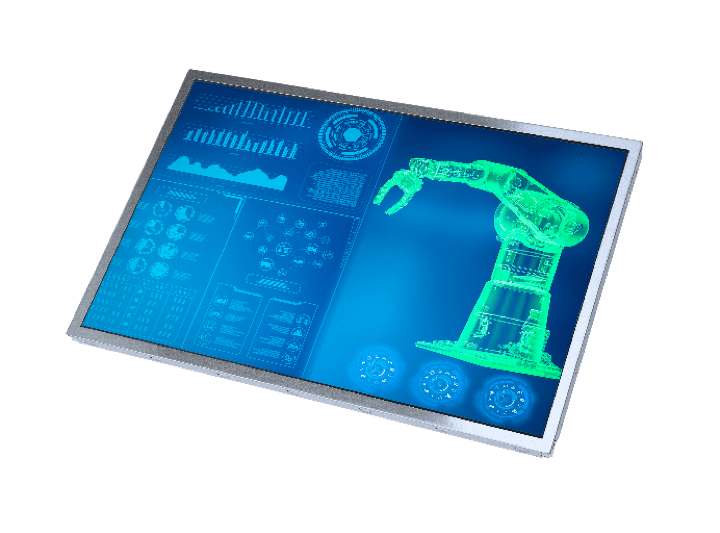 The display meets typical industrial specs: Luminance 400 cd/m2, operating temperature range from -20°C to 70°C, backlight lifetime of 50k hours, LVDS interface. Together with its integrated backlight driver and the wide viewing angle of 88° from each direction it is ideally suited for many industrial requirements, e. g. in process control, factory automation and as general human-machine interface.